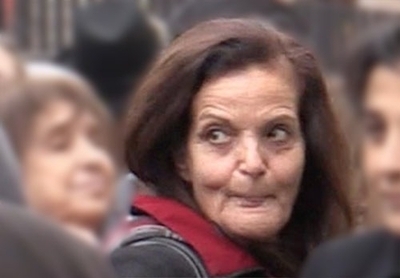 Editor's Note: For greater detail on the Rasmieh Odeh case, her elevation to hero by Palestinian advocates and the impact on her victims, please watch the Investigative Project on Terrorism's video series, "Spinning a Terrorist Into a Victim." A federal judge in Detroit on Monday canceled a hearing which was expected to help determine whether convicted Palestinian bomber Rasmieh Odeh receives a new trial for naturalization fraud. Jurors convicted Odeh in 2014, but the Sixth Circuit Court of Appeals sent the case back to U.S. District Judge Gershwin A. Drain last February, ruling he erred when he precluded testimony that Odeh suffers from Post-Traumatic Stress Disorder (PTSD), which may have caused her to provide false answers to immigration officials about her terrorist past. Odeh spent 10 years in an Israeli prison after confessing to her part in twin 1969 bombings in Jerusalem – one at the British Consulate and one at a grocery store that killed college students Edward Joffe and Leon Kanner. Yet, when she came to the United States and later applied for naturalization as a citizen in 2004, Odeh said she was never arrested or imprisoned. During her trial, immigration officials testified that she never would have been allowed into the country, let alone naturalized as a citizen, had they known of her terrorist past. But Odeh claims her Israeli conviction, based in part on her own confession, was the product of extensive torture. The only evidence for this claim is her own word. Still, her attorneys want a new trial in which jurors hear expert psychological testimony that PTSD caused Odeh to "filter" out her terrorist past. Thus, when she claimed to have never been arrested or imprisoned, the argument goes, she wasn't lying. Before the 2014 trial, Judge Drain ruled that the nature of the naturalization fraud charge made such testimony irrelevant. The Sixth Circuit disagreed. But it did not overturn Odeh's conviction. And it did not say the testimony had to be admitted in a new trial. "We do not address other possible bases for excluding the evidence, under evidentiary standards such as those identified by the district court in its order discussing the use of PTSD testimony in federal and state courts. Nor do we prescribe whether a new trial would be required once the evidentiary determination has been made," the court ruled. Tuesday's scheduled hearing was supposed to hash out the issue. But early Monday, Drain notified the parties he would make a ruling based upon briefs submitted earlier this month. In their brief, prosecutors say the conviction should stand, noting that Odeh's "filtering" theory has never been subjected to any scientific peer review. And they described a number of Sixth Circuit precedents regarding "red flags" on expert testimony which, they say, still make Odeh's PTSD testimony inadmissible. Canceling Tuesday's hearing does not tip off Judge Drain's thinking. While prosecutors specifically requested a hearing, and defense attorneys said one was not necessary, Drain previously found that Odeh was dishonest during her first trial's testimony. And, as Cornell University Law Professor William Jacobson first noted, in their latest brief prosecutors say the evidence indicates that the torture story is a lie. She confessed within a day of her arrest, records show. One interrogator called her "an easy nut to crack" and testimony at her trial in Israel indicated she identified more than 80 fellow members of the Popular Front for the Liberation of Palestine (PFLP) terrorist group who later were arrested. In an interview with the Investigative Project on Terrorism, Jacobson said the claim that Odeh's confession was based on torture may have been concocted to save face. Reached Monday morning, Jacobson said the hearing's late cancellation was curious. "Something [the judge] read this weekend must have caused him to do that," Jacobson said. "He already was setting aside the whole day." On the other hand, he may see "no need for a hearing because the defense has not presented any evidence that their theory is recognized in any way in medicine." If the conviction stands, Odeh faces 18 months in prison, followed by deportation.